For our courses, we feature the MegaGen AnyRidge® implant system, its patented design providing superior stability and performance, combined with immediate loading and more attractive aesthetic outcomes. AnyRidge® dental implants have a unique knife thread that cuts through bone smoothly and condenses it simultaneously and offers better initial stability, even in a compromised bone situation. 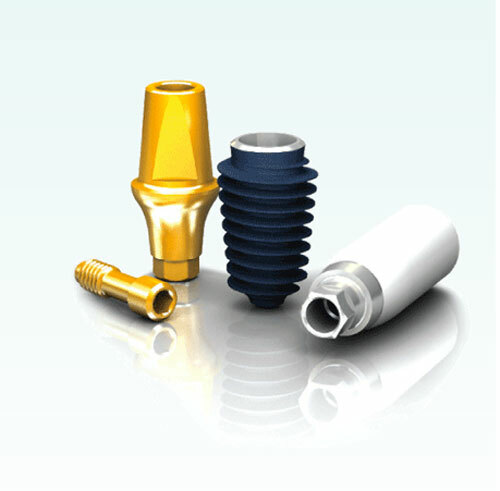 With small but strong abutment screws and thicker walls, AnyRidge® implants offer various post heights as well as cuff heights to provide the best fit for each patient. Each implant features Xpeed® nano bone matrix surface treatment for faster and stronger integration.